It’s mid winter in Michigan, thoughts of fall are fading and it’s too early in the year to start thinking about spring paddling, fishing or hiking. 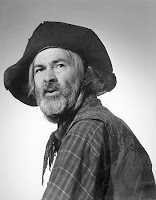 My winter supply of books is dwindling and like others in the upper Great Lakes, I’ve got a bit of cabin fever, and I’m starting to feel like one of those characters played by Gabby Hayes in the old western movies, the old prospector who has been alone in his cabin for too long. The marketing geniuses who put out fly-fishing catalogues know this, and the four-color, slick products start arriving in the mail about now and tempt me to buy new rods, reels, other gear or clothing that I usually don’t need. Since I’m writing a canoe/kayak guide to Michigan this year, paddling catalogues are arriving, reminding me of gear I didn’t know I needed. I can usually resist the efforts of marketers until I hold my annual Jimmy Buffet party. The ingredients are simple – a Jimmy Buffet song, “Boat Drinks,” fly-fishing catalogues, a credit card, but most of all, a bottle of tequila. By the end of the evening, I’ve usually placed several orders, and sometimes I surprise myself when the gear arrives. The after effects are usually a hangover and a big credit card bill to pay off. On such nights, my wife makes sure my shotguns are out of reach and that the shells are locked up. So far there has been no damage, but there’s always the first time.